9M6SDX is a special event callsign operating in Sabah (North Borneo), East Malaysia. This call is operated by Borneo Amateur Radio Club as a Special event callsign to promote Sabah (North Borneo) for its Tourism Industries to All HAM Communities in the World through DX activities, contest, etc at different location in Sabah, East Malaysia. 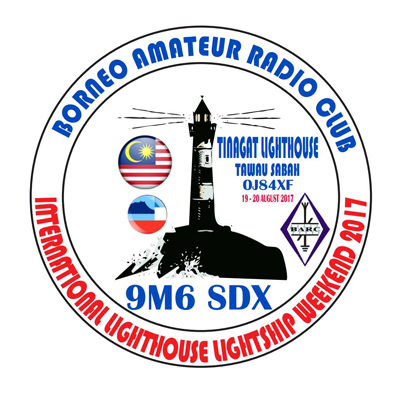 9M6SDX will join the annual amateur radio event ILLW – INTERNATIONAL LIGHTHOUSE LIGHTSHIP WEEKEND 2017 which starts from 00.01UTC 19th August to 2400UTC 20th August 2017 (48hrs). So looking forward to meet all ILLW participating HAM Operators around the world.